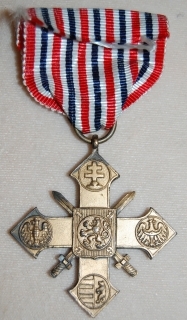 Czechoslovakia War Cross 1939-1945, 44mm, Prague-made. 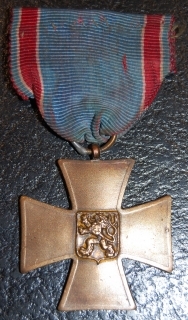 In bronze-gilt with minor patina. 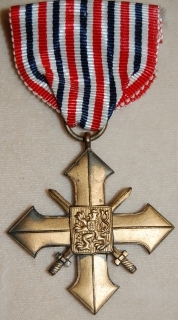 A meritorious decoration awarded to those who provided great service to the Czechoslovak state during World War II.